Brenners Park-Hotel & Spa is more than just a luxury hotel. It is a philosophy in its own that gracefully weaves beauty, fitness, health and culinary delights all into one. An establishment with an over 140 year old history superbly situated in a legendary park. All this can be found in one of the most beautiful and adorable places on earth: Baden-Baden – in the heart of Europe, nestling in a valley of the Black Forest. Experience the perfect combination between urban lifestyle and pastoral idyll. With the restoration of the Villa Stéphanie - Europe`s finest destination spa and the most significant investment of the past 20 years, a new chapter in the log history of Brenners begun. Covering an area of 5000 square metres, an entire house has been dedicated to the world of spa. Stretching over five floors, it comprises a 500-square-metre sauna, plunge pool, private gym, hamam and a ladies sauna. There are also inspiringly designed treatment rooms overlooking the gardens, a lounge with an extensive library and twelve spacious double rooms and three impressive suites – and all this enshrouded by nature in a lush green private park and the world-famous Lichtentaler Allee.Directly connected to the new destination spa is ‘Haus Julius’, a 1700-square-metre mansion designed to offer unique and exclusive medical care to Brenners guests. The spa facilities at Brenner's Park are among the most comprehensive in the world. The original beauty spa features a wide variety of body and face treatments, including exotic massage rituals, medicinal baths, packs and wraps, and other therapies. A day at the spa might begin with a water exercise class, followed by a consultation with the spa manager and a workout with a personal fitness instructor. Following a spa lunch, a guest might enjoy a psammo bath and beauty and massage therapies. The spa also includes a beauty salon. Other interesting amenities include a hot sand-therapy cabin and a private spa suite. The spa suite features a lanconium (a type of sauna heated to 122 degrees), a whirlpool for two, a Japanese blossom steam bath, and a Finnish sauna with individually adjustable therapeutic lighting. The suite, which can be booked for a full or half day, also offers a private terrace, a multi-media center, a mini-bar, and a private spa butler. A second beauty spa, Kanebo Harmonising & Care, inspired by Asian treatments and services, was opened at the hotel in early 2004. One of its signature treatments, Seiketsu, is based on Japanese bathing rituals. The medical spa offers comprehensive medical check-ups, consultations with medical specialists, dental medicine, and nutrition coaching. 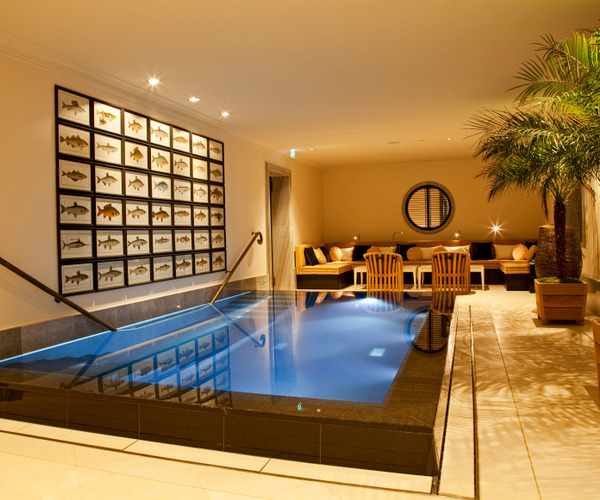 In addition to sampling the treatments at Brenner's, spa aficionados will also want to try Baden-Baden's classical German baths. Friedrichsbad, also known as the Old Baths, has a comprehensive bathing system in which bathers visit 16 different stations that combine Roman and Irish traditions. Caracalla Therme allows bathers to develop an individual style of bathing in a variety of milieus, from saunas to pools to grottos to waterfalls. Outside of the bathhouses, Baden-Baden offers many cultural attractions. Shoppers love the town's many small boutiques, and sightseers are charmed by its cobblestone streets and intimate cafes. Baden-Baden is also famed for its music festivals, housed in The Festspielhaus. And Baden-Baden's world-famous casino offers sophisticated nightlife. The hotel can accommodate events, celebrations, and conference in its generous function space and with the aid of a full support staff. For children, the hotel offers babysitting services, "splash hour" at the pool, and a range of DVDs and books. The rooms and suites at Brenner's Park are defined by their exceptional luxury and attention to detail. Each is individually decorated with elegant antiques and has a Carrara marble bathroom. 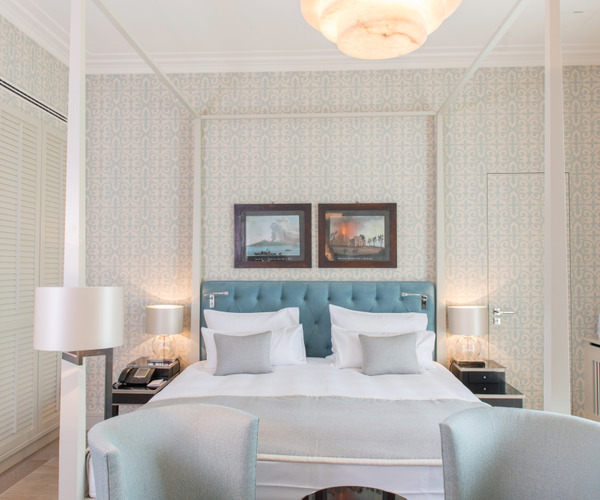 Many of the rooms feature balconies overlooking Brenner's Park, the town of Baden-Baden, or the Black Forest. The palatial Presidential Suite, which consists of a salon, two bedrooms, and two large balconies, has a private entrance and elevator with direct access to the spa as well as optional butler service. The romantic, split-level Honeymoon Suite is perfect for couples of any age. The hotel's two restaurants and two bars serve exquisite gourmet cuisine in an elegant but welcoming atmosphere. Flooded with natural light from floor-to-ceiling windows, The Wintergarten restaurant overlooks Brenner's Park and Baden-Baden's famous avenue, the Lichtentaler Allee. The restaurant serves classic French dishes with a Mediterranean flair and can accommodate special dietary requests. The new gourmet restaurant, Park-Restaurant, also offers spectacular views and an innovative menu. The adjacent Garten-Salon is ideal for small gatherings. Both restaurants have extensive wine lists. Salon Lichtental serves breakfasts and has an outdoor terrace. With an open fireplace and stuffed couches and chairs, Kaminhalle is a cozy place to take afternoon tea. The Oleander-Bar, named after a legendary race horse, is the hotel's social focal point, and guests often drop by to enjoy conversation or live piano music.